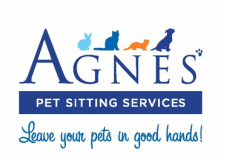 Hello, my name is Agnes and I am the owner and main carer at Agnes' Pet Sitting Services. Pictured with me is our beloved working herding dogs; border collie Bella and Greti the puli. I set up Agnes' Pet Sitting Services to offer alternatives to kennels and catteries. Here, we love cuddles, walk and play with cats and dogs or other furry pets. If you are looking for personalized care, enthusiasm, consideration, reliability and experience, Agnes' Pet Sitting Services in Stratford-Upon-Avon is your choice! Whatever suits you best, we're here to provide it. Have peace of mind knowing you can go about your business with one less thing to worry about. Security and proper care for your pets is no small feat. We aim to make the whole process as simple and complete as possible. Our goal is to serve and provide the best care for your pet when you're away. We take that responsibility very seriously. Contact Us to set up a Free Consultation! As an animal owner myself I know how important it is to know that our family pets are in safe hands and well looked after. Let me give you a little bit about my background. I grew up on my family's farm in Hungary surrounded by plenty of wonderful farm animals and of course many dogs and cats. As an adult I have had multiple pets all the way through my life. I've volunteered for years in a dog shelter and was involved in cat rescue groups. I have loved the process of caring, protecting and nurturing them as well as receiving the boundless love they give back. With my late dogs, Bella and Greti, we took up sheep herding and competed with quite some success. We also have competed with obedience work and agility training for much of their enjoyment! ​I have my Canine Behaviour Training Diploma, a wealth of experience with animals and I would like to use it to help you. So whether you are at work, having the night away, on your holidays or simply to help to give them all the attention you believe they deserve. Then I want you to know I will be there to lend my support and assistance.